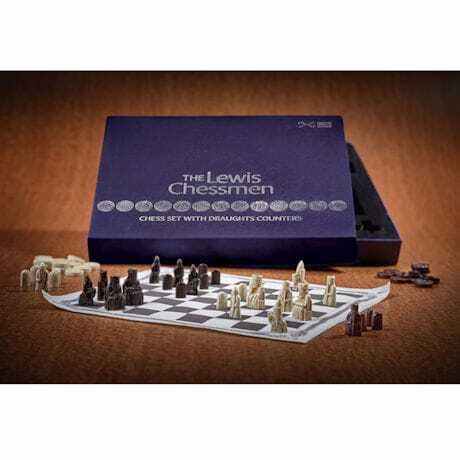 New technology has created the most exacting reproductions of the most important chess pieces in history. 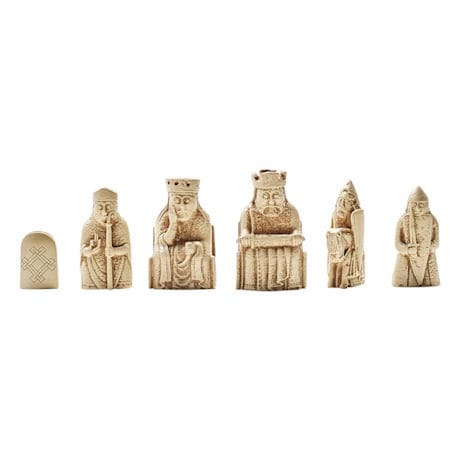 The Lewis Chessmen were carved sometime in the 12th and 13th centuries and found 700 years later on the Isle of Lewis in the Outer Hebrides. Some are in the British Museum; the ones in this set are in the National Museum of Scotland in Edinburgh. 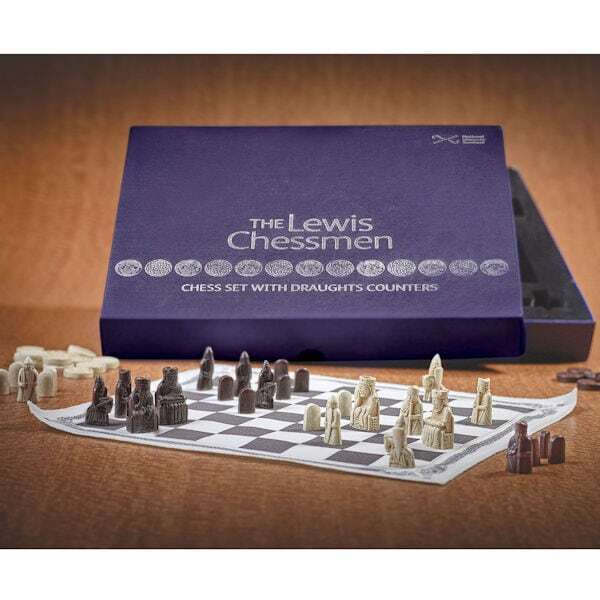 Includes 16 resin figures and 12 resin draught counters of each color, for a total of 32 chessmen and 24 counters, and a cotton playing board. Made in the UK. Sales support the National Museum of Scotland.